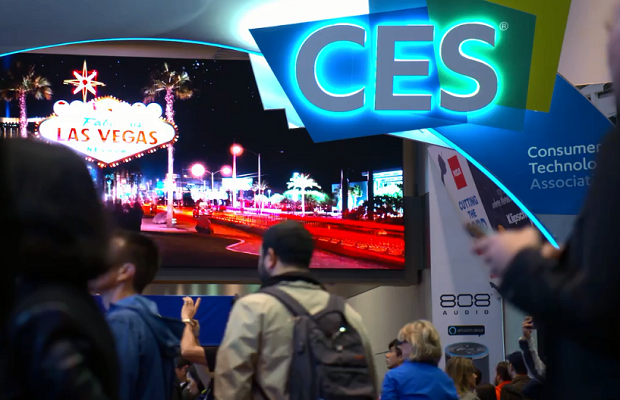 From empathetic robots to sleep headwear, this year’s Consumer Electronics Show (CES) in Las Vegas gave us a glimpse into future tech. We look at 10 of the biggest trends to help marketers plan their 2018 strategies. A massive ‘Hey Google’ event showcased the tech giant’s internet of things ambitions at this year’s event. The firm’s Assistant’s Android Auto integration gives drivers access directions, reminders, music and more through voice commands on compatible cars. Kia will be one of the first auto makers to sign up, with Assistant set to play a central role in a number of its top 2018 models, including the K900, Optima, and Soul EV. Smart speakers, intelligent touchscreen devices, and headphones were featrued at the show, with the likes of Bang & Olufsen, Jaybird, JBL, Lenovo, LG, Klipsch, Panasonic, RIVA Audio and Sony all revealed to be developing new Assistant-ready kit. Elsewhere, Google-owned smart thermostat Nest has combined forces with iconic lock maker Yale to create the Nest x Yale Lock, a new smart lock that promises more intelligent home security and is another one of this year’s CES sleeper hits. Segway Robotics announced a consumer version of its Android-powered Loomo robot, which is cross between a hoverboard and a robot companion. First floated in 2016 as the Advanced Personal Robot, the upgraded Loomo is designed to work on multiple terrains, both indoors and out, and can be used to take photos with a simple gesture. The company is also touting the ability for Loomo to make “everyone laugh with its wit and personality.” It can also carry things like groceries, backpacks and clothing. L’Oréal’s UV Sense is a tiny sensor capable of detecting ultraviolet exposure that’s small enough to wear on your fingernail. The battery-free sensor includes an NFC antenna, a temperature sensor, and a UV sensor, and can store up to three months worth of data, passes information to the accompanying app whenever the wearer holds the device close to his or her smartphone. The app keeps track of your exposure levels and can provide tips for managing sun intake. Honda has become famous for its Asimo robot, but this new generation 3E (Empower, Experience, Empathy) Robotics Concept, demonstrates Hondas vision of a society where robotics and AI can assist people in a multitude of situations, from disaster recovery and recreation to learning from human interaction to become more helpful and empathetic. The company says it’s meant to represent the idea that robots can support people by providing a sense of compassion and understanding. In a demo at CES, the roving robot’s glowing face frequently changed its expression as it greeted the crowd. Honda’s 3E-B18, comparatively, is a robotic chair concept, while 3E-C18 includes cargo space for transporting materials. The Vuzix Blade augmented reality glasses will support Alexa so that wearers can ask for things like the weather and directions. The Vuzix Blade’s display also sits more prominently in the wearer’s field of view than Google Glass and looks much more crisp and colourful. The Movi phone is an Android device with a built-in projector. The $599 phone includes an integrated projector that can project 720p videos. The projected image automatically switches to landscape mode whenever the phone’s screen does, so you don’t have to switch the phone’s orientation. Turning on the projector is as simple as launching an app. Chinese tech giant Lenovo released its standalone Daydream VR headset. Dubbed the Lenovo Mirage Solo, it offers a tether-free, phone-free VR experience – the first product of its kind on Google’s Daydream platform. Of its other major announcements, the Lenovo Smart Display, taking on the Amazon Echo Show, but swapping Alexa for Google Assistant as its AI helper of choice. Samsung used CES this year to showcase its latest living room concept: a 146-inch TV called The Wall, which the company is positioning as the first “modular TV.” Samsung says users can alter the size and shape of The Wall so that it can function as a multipurpose display. In a demo on the showroom floor, the TV displayed what looked like a smaller TV in the centre of the screen, while the surrounding area was set to blend in with the wall the TV was mounted on. Alongside its high-end TV range, Samsung revealed a new notebook that combines a light laptop with one of the Galaxy Note 8‘s most useful features – the S Pen stylus – and outed an upgraded Samsung Family Hub smart fridge (2018) that now comes complete with Bixby, SmartThings integration, and AKG speakers. There was no Galaxy S9 reveal, however, but rumours are that the next iteration of the top selling handset is due for a late February launch. LG used CES to showcase sits latest IoT technology, but unfortunately onbe particular demo didn’t quite go as expected. Cloi was meant to be the centrepiece of the South Korean firm’s presentation where it was supposed to show how new artificial intelligence tech could enhance use of kitchen appliances. Instead it gave no response to three consecutive commands beyond blinking. LG’s focus this year was to promote ThinQ, its in-house AI software, which it intends to roll out across various products to make them easier to use and capable of “evolving” to meet customers’ needs. Although LG also includes Google’s Assistant in some of its latest TVs and smart speakers, it has chosen to rely on its own solution for its robots. The firm already has robots in use in South Korean shopping centres and airports, and also makes robotic vacuums for the home. Photo pioneer Kodak made a big comeback at CES, launching a new blockchain platform for photographers, KodakOne, alongside its own cryptocurrency, KodakCoin. The firm said the launch, in collaboration UK tech firm WENN Digital ,would help photographers receive payment for licensing their work immediately in cryptocurrency form. KODAKCoin will use blockchain technology that settles transactions using computer algorithms, used by bitcoin and other virtual currencies. The Philips SmartSleep headset emits tonal frequencies to help you get the most out of your sleep. The company says this improves slow wave sleep, the stage in the sleep cycle at which brain waves and breathing slow to their lowest levels. Citing studies, Philips says this type of sleep can help boost alertness and the ability to maintain focus. Two sensors on the headband detect when you fall asleep and can identify when you enter deep sleep. Then, an algorithm customizes the volume and level of the tone being emitted in a way that the company claims will boost slow wave activity in the brain. Netflix used CES to build hype for its new sci-fi series Altered Carbon, creating a fake booth for a fictional company from the show. The Psychasec vendor booth in the Las Vegas Convention Center exhibited ‘lab-grown bodies’ and was staffed by attendants dressed all in white. Altered Carbon, which starts streaming in February, depicts a future where humans can transfer their minds from body to body, with a rebel protagonist brought back to life to solve a high-stakes murder case.